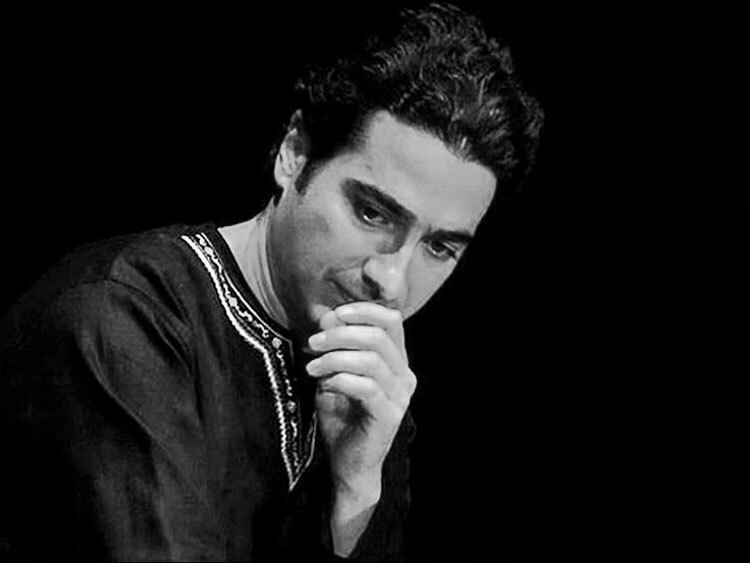 Homayoun Shajarian (Persian: همايون شجريان‎‎) (born 21 May 1975) is a Persian classical music vocalist, and a Tombak and Kamancheh player. 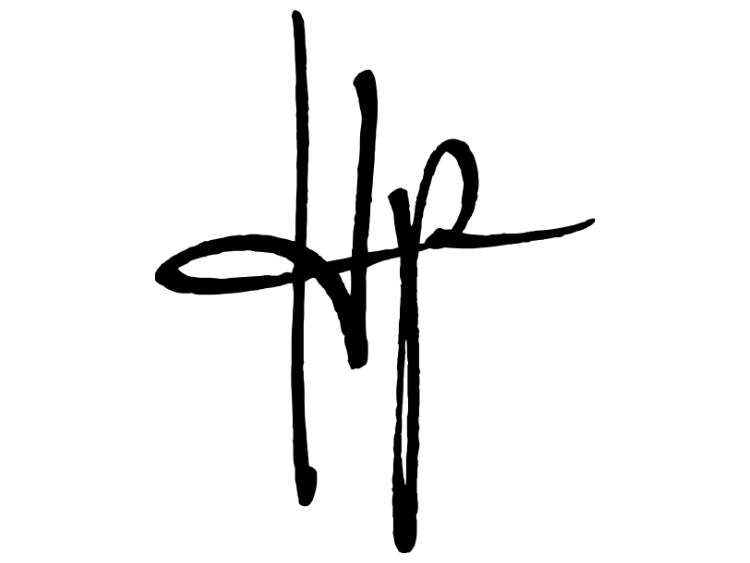 Formed in 2011, HP Events is a live music and entertainment events promoter and producer, staging over 100 very diverse shows each year. The Barbican exists to inspire people to discover and love the arts. We innovate with outstanding artists and performers to create an international programme that crosses art forms, investing in the artists of today and tomorrow. A world-class arts and learning organisation, the Barbican pushes the boundaries of all major art forms including dance, film, music, theatre and visual arts. Over 1.8 million people pass through our doors every year alongside hundreds of artists and performers from across the globe, while our creative learning programme underpins everything we do. The City of London Corporation is the owner, founder and principal funder of the Barbican Centre. 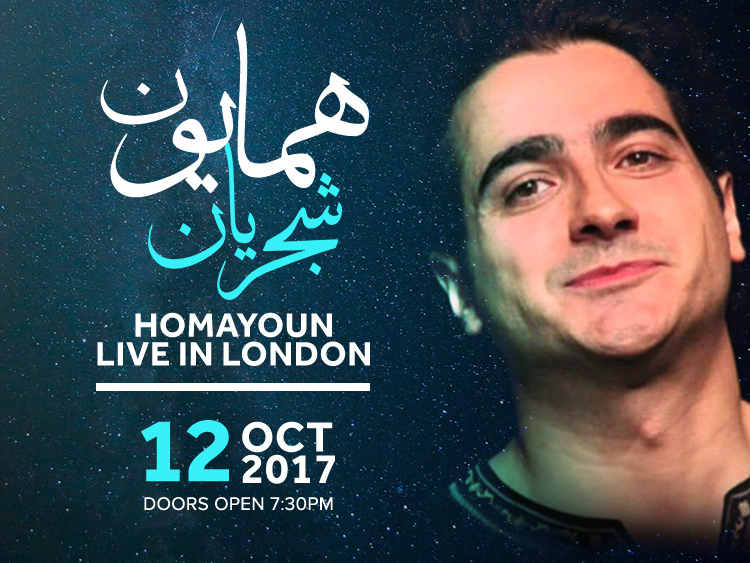 HOMAYOUN is one of Iran’s most popular young vocalists and was born in a music-dedicated family in Tehran. 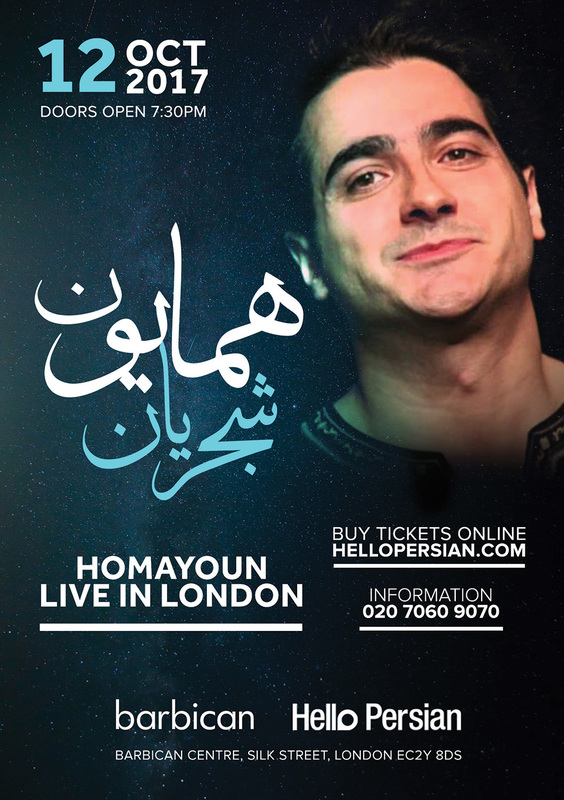 He is the son of Mohammad Reza Shajarian, the grand master vocalist of Persian traditional music. 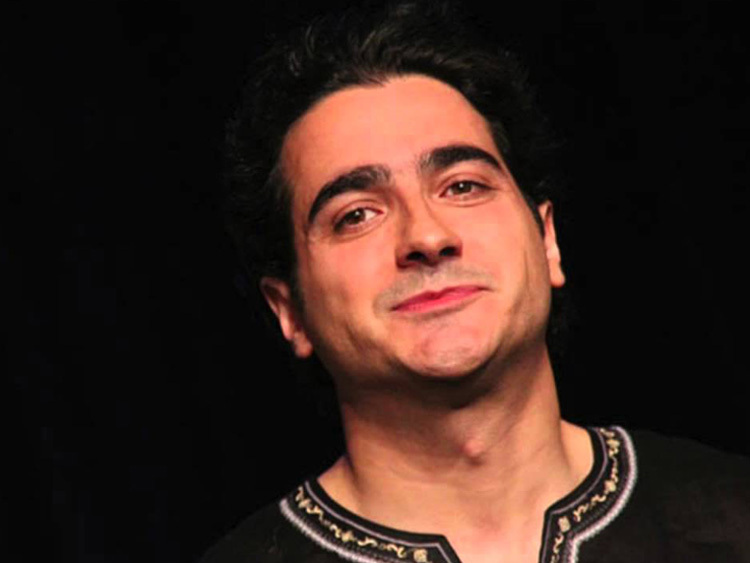 He commenced learning Persian traditional vocal (‘Avaz’) at the age of ten, under his father’s supervision and gained knowledge of Avaz techniques and voice-producing. 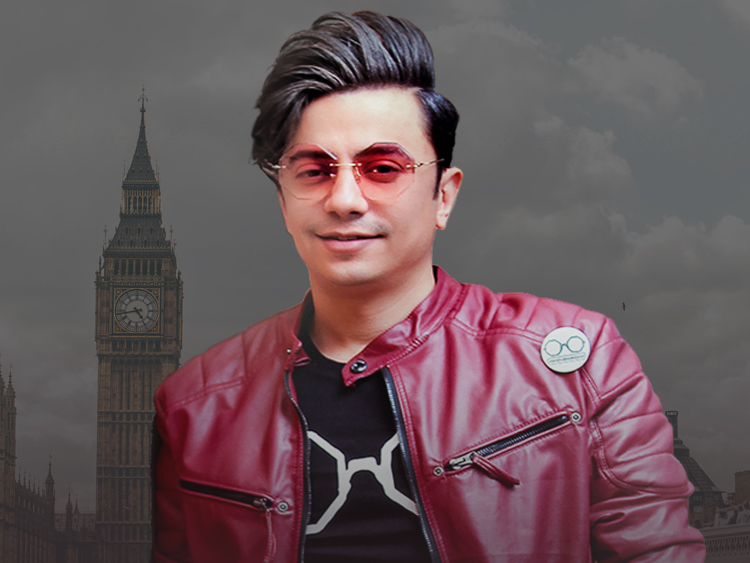 Simultaneously, he attended Tehran Conservatory of Music and chose Kamancheh as his professional instrument as well as being tutored by Ardeshir Kamkar. In 1991, he accompanied father in concerts of Ava Music Ensemble in their World tour by playing Tombak; and from 1999, started accompanying father also on vocals. His first independent work Nassim-e Vasl, composed by Mohammad Javad Zarrabian, was published on his 28th birthday, on 21 May 2003.